I recently had the opportunity to tour the Straus Family Farm, one of four dairy farms that produce the milk for the Straus Family Creamery, and where it all began in 1941. Straus is the first 100% Certified Organic dairy in the US (certified in 1994) and are committed to creating social change in the American food system. The company is very actively involved in the “Just Label it!” campaign and are also committed to working to create demand for more sustainable products. 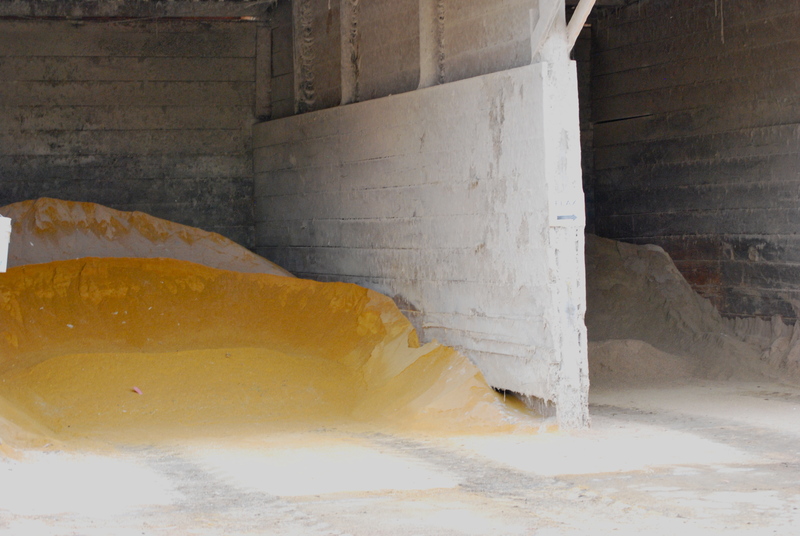 They recently helped a new dairy farmer transition to Certified Organic and also helped his brother’s mill to find GMO-free feed so they could continue working together! 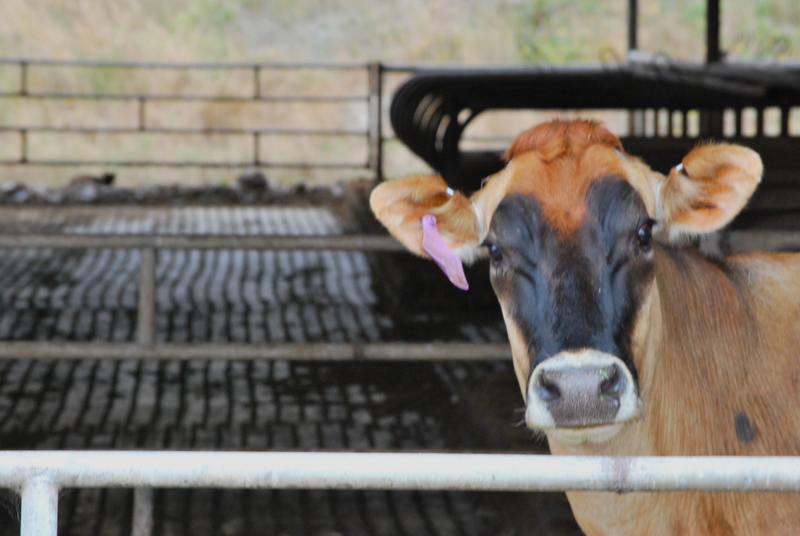 Between the four farms, the Straus operation takes up about 660 acres and has over 300 milking cows. 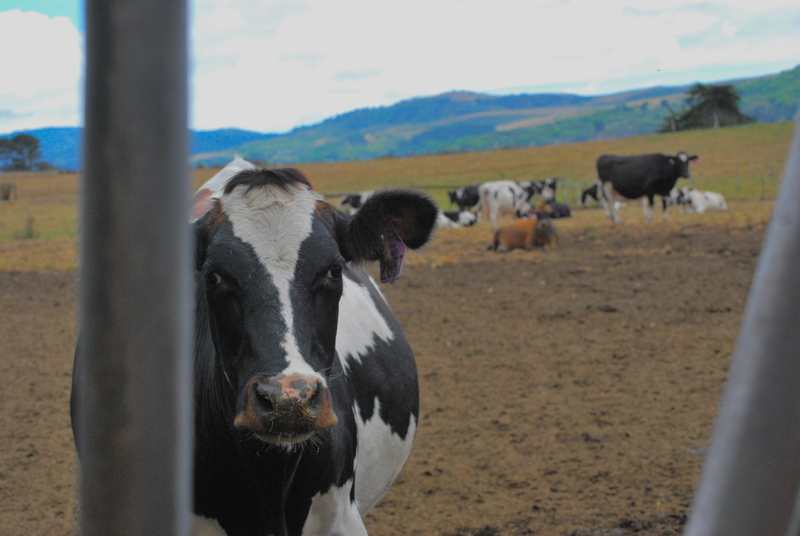 The cows spend April through November out in the pastures and come in during the winter because heavy rains often create erosion that might cause injuries. The Straus cows are all fed a happy, healthy, 100% organic and GMO-free vegetarian diet. 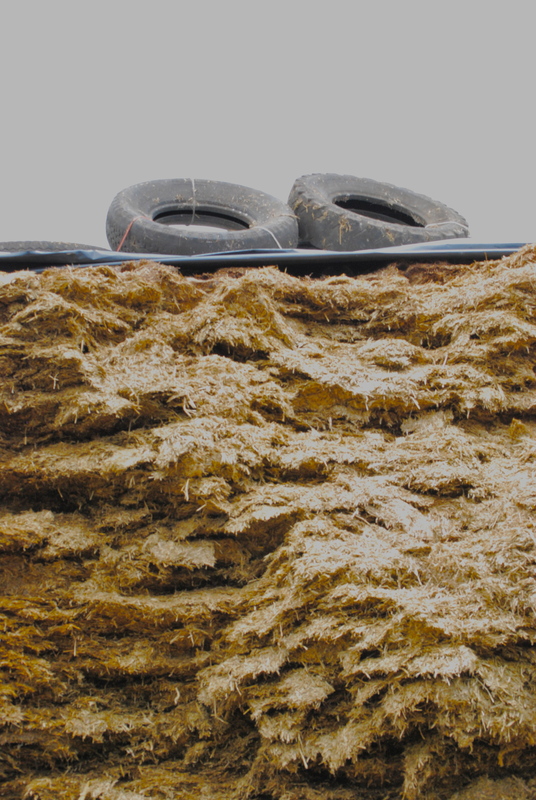 Half of the feed is grown on site, while the rest is sourced from within 100 miles. 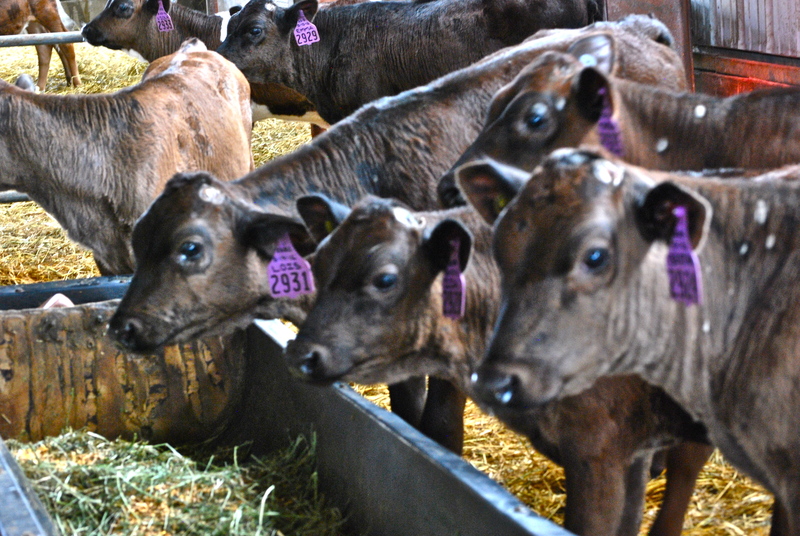 Their diet is approximately 80% grass and 20% grain (flax, soy, rye, canola, corn) and silage. Albert Straus was inclined to add grain into the diet because it gives the product a bit more fat, which (of course) makes it taste better! But, unwilling to make a decision based on taste alone, Albert checked with a nutritionist, who actually recommended they finish with grain and silage because of all the energy it requires for a cow to produce milk. 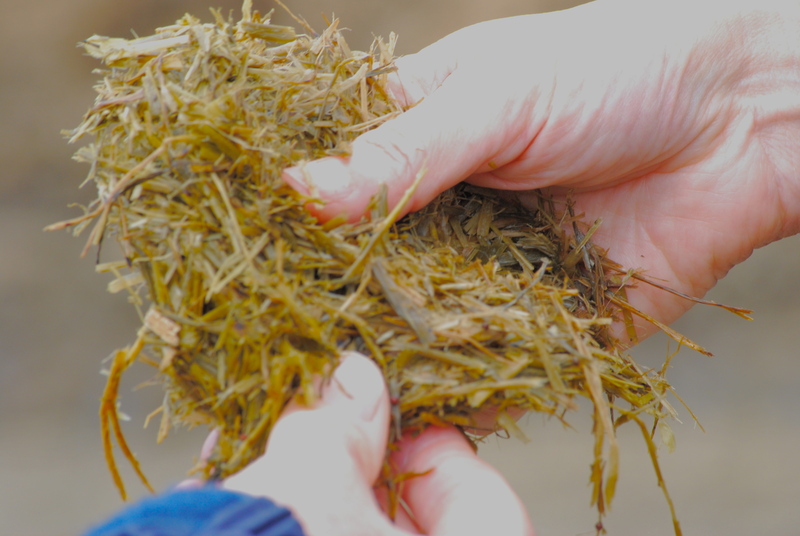 Silage is a fermented grass that is incredibly nutritious for the cows and makes up a big chunk of their diets, especially during the winter months when they aren’t out roaming the fields. For quality analysis, I took a bite– tastes like sauerkraut! 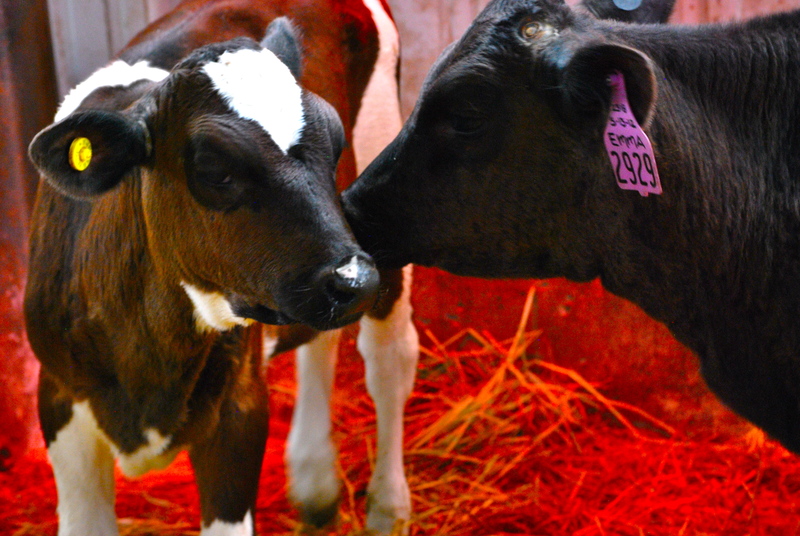 All calves are adorned with a tag that has their name (I met a Sandy, Clara, Rosie, Emma, and Viola… just to name a few) and date of birth. 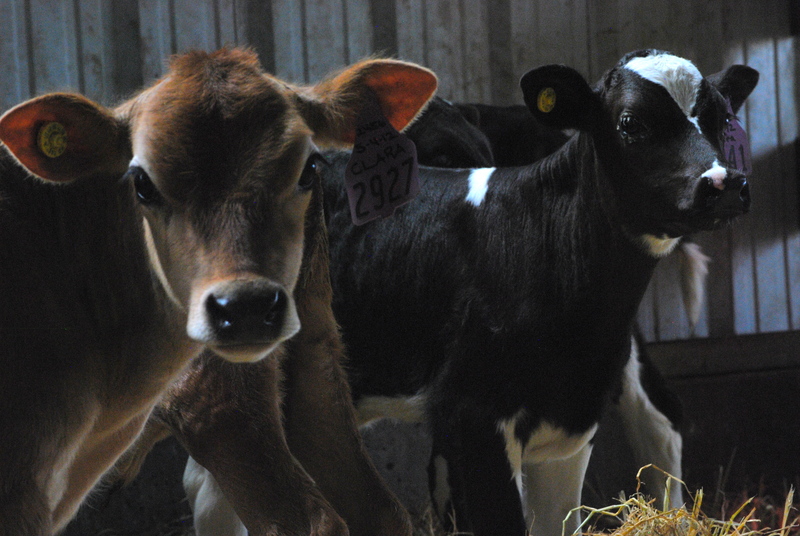 After a few days, mothers are taken away from their calves because they are needed for their milk. So how are the calves fed? Well, Albert, who is always working on new experiments, came up with an innovative milk dispenser from which calves get their daily needs. 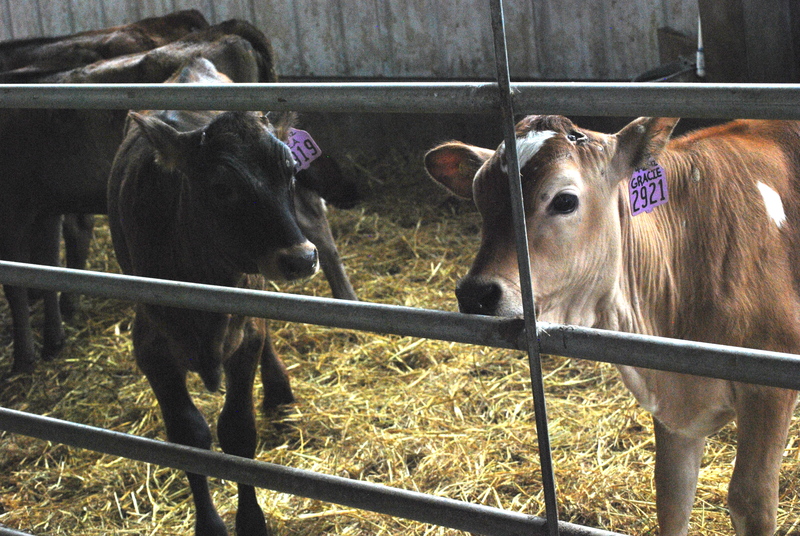 Each calf has a microchip in its ear that is detected by the machine, which then registers which calf it is. 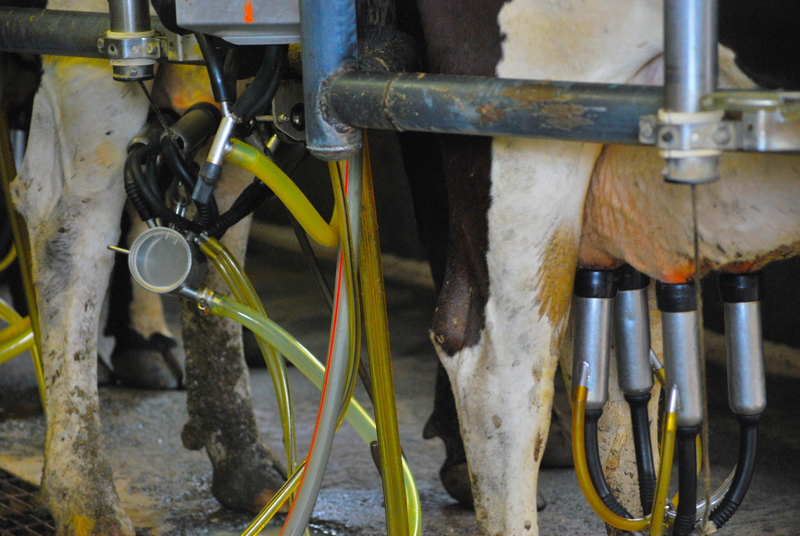 If a calf is trying to drink more than it’s supposed to, the machine will stop dispensing milk. 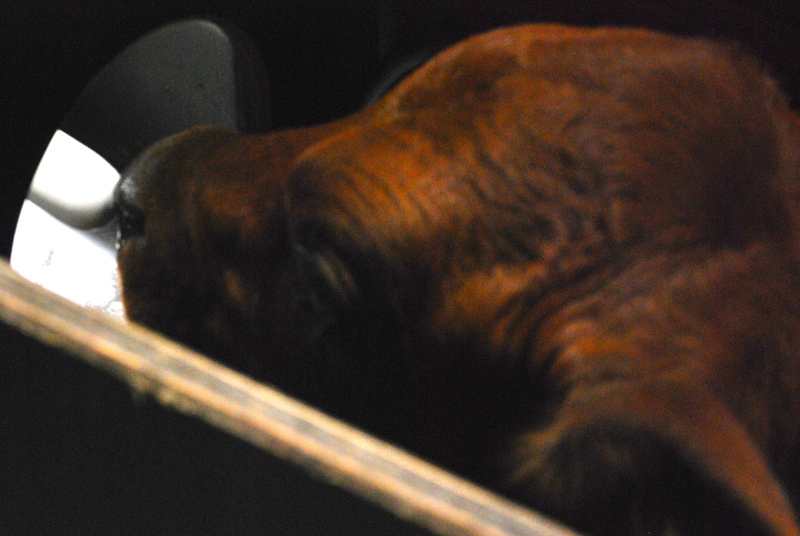 There is a homeopathic doctor on the farm who provides herbal remedies to ailing cows and even the regular “foot massage,” during which their hooves are checked. The most cows are ever given is an aspirin, and if a cow is really sick and needs antibiotics, they are taken off the farm and never return. 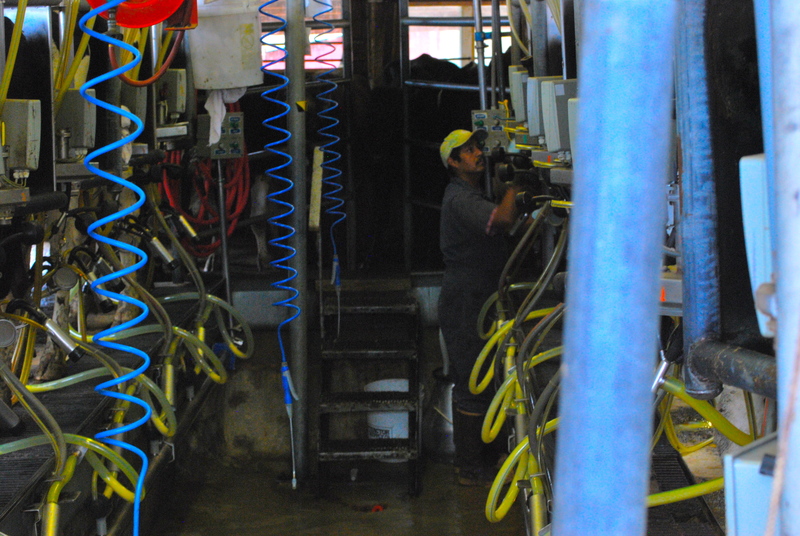 The cows are hooked up to mechanical milkers for increased efficiency and reduced labor cost. 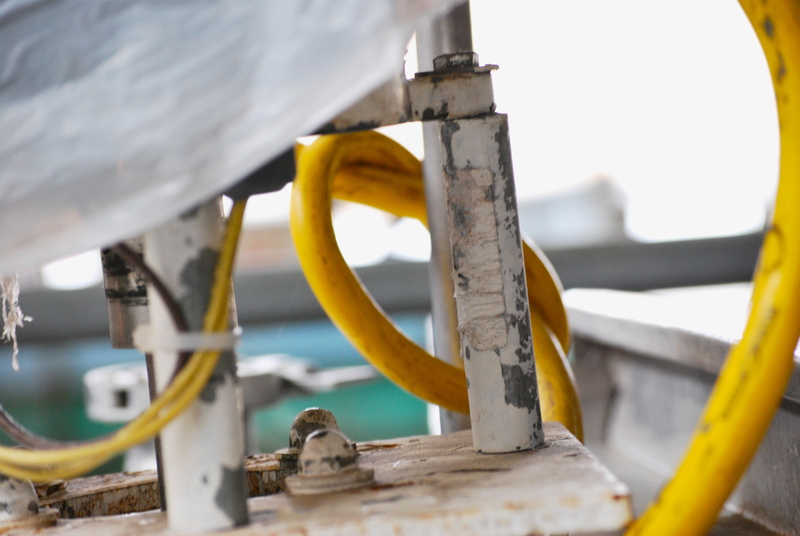 It requires a lot of energy to produce milk, and there is quite a bit of waste as a by-product (about 100 pounds of waste each day for each cow!). 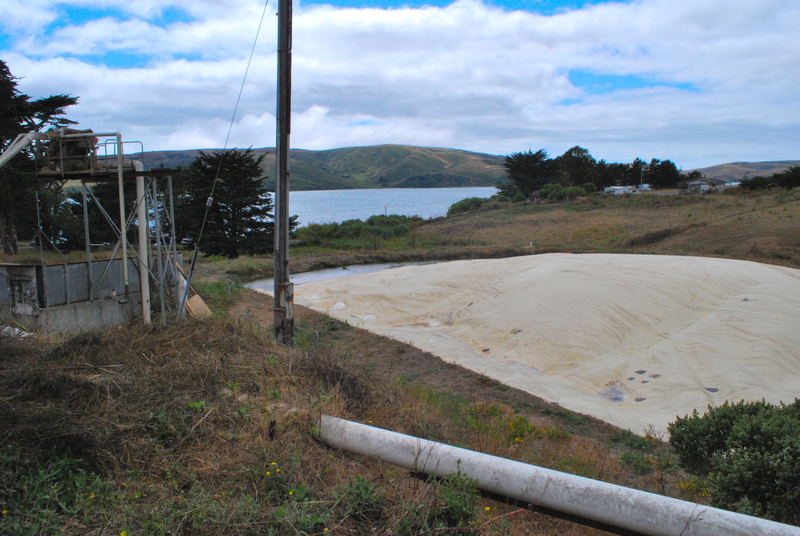 The Straus Family Farm was one of the first farms in the area to install a methane digester, which prevents harmful methane gas from entering the atmosphere, and also generates enough energy to power the entire farm, plus some! In addition to providing their cows with some pretty lush lives (did I mention there is an individual bed for each cow?! 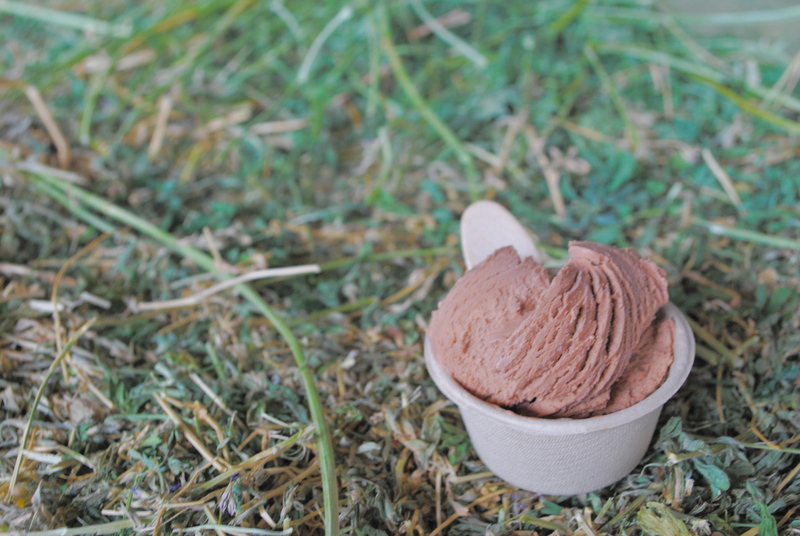 ), Straus makes some delicious ice cream and other dairy products. Check out their website for more information on the Straus Family Creamery and to find out where you can find their products near you! This entry was posted in On the Farm and tagged cows, dairy, GMO, lindsay partridge, Milk, organic, Real Time Farms, Straus, straus family creamery, sutainability. Bookmark the permalink. We only consume Straus Family Farms dairy products in our home. The milk is sweet and nothing else tastes anything like it. The half and half is wonderful. It never has an off taste that some half and half has. We eat Straus yogurt, sour cream, and butter, as well. We also appreciate that Straus milk and cream come in glass containers. Thank you for a great article about Straus Family Farms. It is nice to know how committed they are to the very, very best nature can give us. I would love to tour the farm; Can yo tell me how you managed to take a tour? They give tours every so often (once a month maybe?) – you can find their contact information here (http://strausfamilycreamery.com/contact) to get more information.